As with our front brakes, the rear kit has been developed to deliver the ultimate in stopping power. 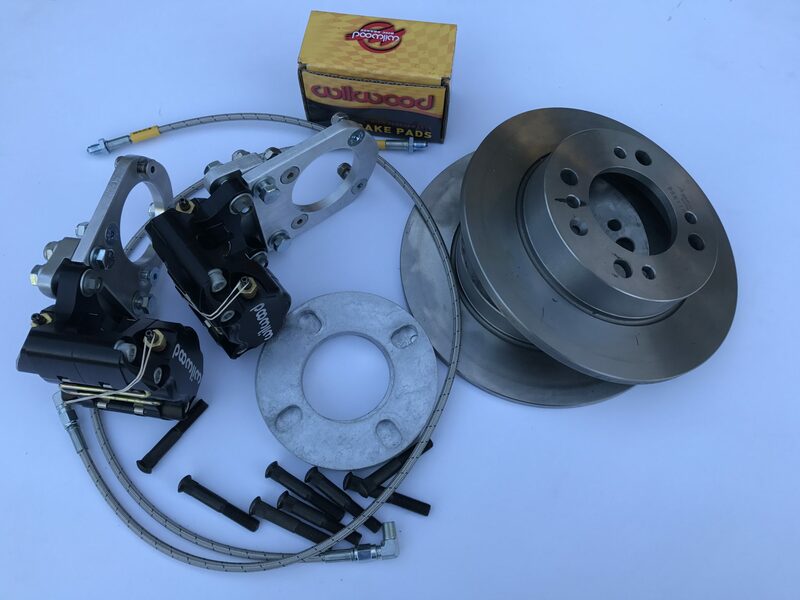 Designed for competition use but suitable for road use the PME 9 1/4″ rear brake kits work in conjunction with our front conversions. Wheel lock up under heavy braking is virtually eliminated. Large discs and alloy calipers allow rapid heat displacement reducing brake fade during continued heavy usage.